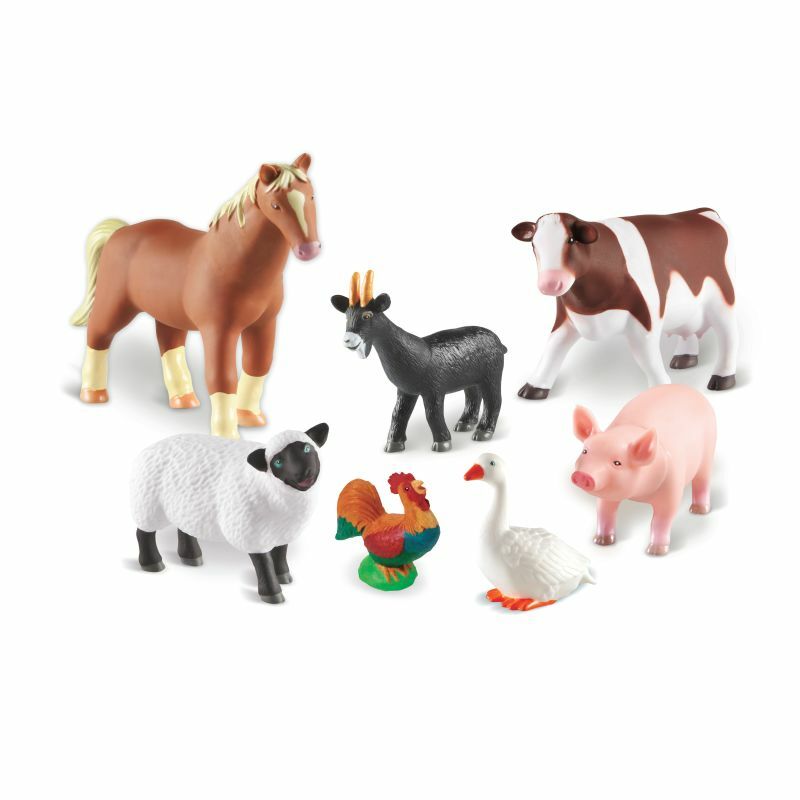 Realistically detailed farm animals (horse, pig, cow, goat, sheep, rooster, and goose) invite imaginative play and are perfect for encouraging vocabulary development. 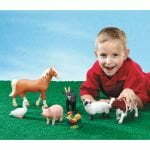 Durable plastic animals are sized just right for small hands and can be wiped clean. Largest animal (horse) measures 10″L x 7½”H. Set of 7.